Reaching Sydney was a strange feeling. For your whole life a place seems impossibly distant, a diffuse spot on the map reduced to postcard pictures and news reports. Then you arrive and all the pieces come together: the city materialises and grows in your mind to fill the gaps between the famous landmarks and become one great, swirling, breathing mass of humanity. After a short bus ride from Canberra, I wandered through the downtown streets to meet Emil, my friendly Couchsurfing host. He works for the city government and whisked me around town on a special insider’s tour, pointing out all the government buildings. The city was still slightly on edge after the Lindt Cafe incident a few months before, the cafe itself still quietly boarded up. It had been raining all afternoon but the city kept its sunny disposition, people smiling and chatting on their way home from work. No-one seemed to take life very seriously. It wasn’t long before we parked the car on Mrs McQuarie’s Chair, a tongue of land stretching into the water named after a former governer’s wife. We gazed out across Sydney Harbour – beautiful and brooding in the mist, boats bobbing against the lush green curves of the coast – towards the Opera House. I had always presumed that this landmark was simply famous for being famous, the architectural version of a talent-show celeb, but its towering organic shapes were really quite beautiful. For several days I wandered through museums and gardens, enjoyed pretty cafes and spoilt my budget on world-class food. Compared to Melbourne, Sydney truly feels like a global metropolis. Its history as a a thriving port and Australia’s prime connection to the outside world comes alive in the historic Rocks at the base of the magnificent Harbour Bridge, and the vaulted glass roof of the Queen Victoria Building recalls Alexandra Palace in London. All the more impressive, then, are the stunning surf beaches throughout the city, ranging from the infamous but grubby Bondi Beach to upmarket Manly. Darling Harbour, an offshoot of the main harbour, has a lively collection of museums, hotels and bars. The Australian Maritime Museum is an interesting chronicle of the country’s love affair with the sea (and its terror of sharks) and, like nearly every museum, it has a strangely incongruous collection of Aboriginal artifacts guiltily stashed away in a corner. There was barely a single Aborigine to be seen in Sydney. 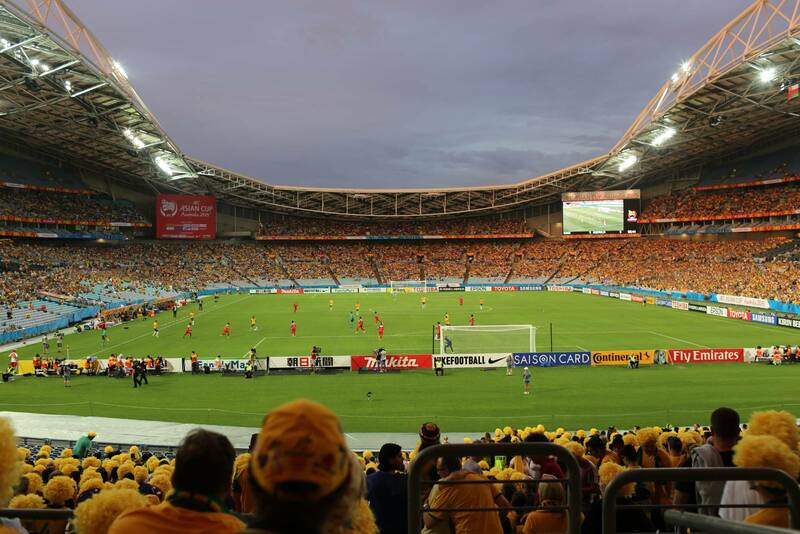 One evening I joined the ecstatic crowds at the football stadium in the Olympic Park for Australia v Oman, a group-stage match for the Asian Cup. I found myself in the “active supporters’ zone” and spent the night shouting myself hoarse in a yellow wig with some lads from Newcastle, a city north of Sydney. The atmosphere was all a bit manufactured – more family-friendly Mexican waves than good old barbaric English hooliganism – but the football surprisingly entertaining. Australia won, of course. Later on I spent a night near Manly in Balgowlah Heights with Carey and his wife Gilly, family friends through an obscure connection (something to do with Spain and cruise ships and the sixties). They have settled into an easy-going Aussie life and Carey has an obsession with classic American muscle cars. We went for lovely drives in his sleek Lincoln Intercontinental and showed off on the beachfront in his purring Mustang. Friendly hospitality and plentiful tea and cake were very welcome, too. After a healthy dose of culture and good food – long overdue after my time in Indonesia and Melbourne, which are almost on a par – an extended stay in Sydney was a godsend. But soon, in this country where wilderness is never very far, it was time to get back into the mountains.